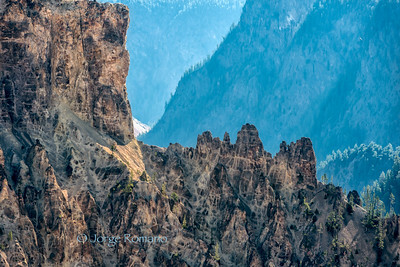 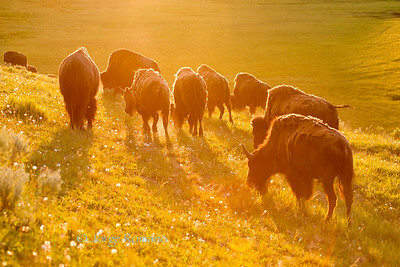 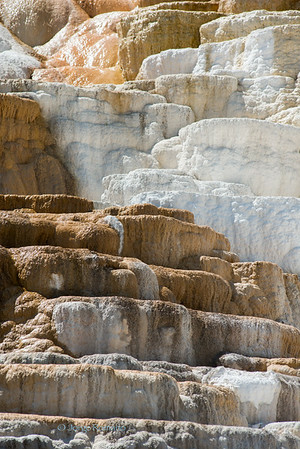 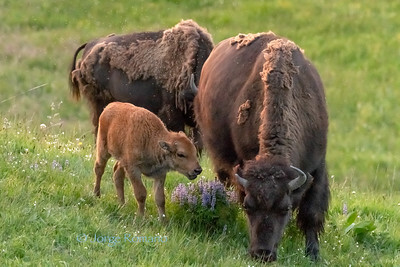 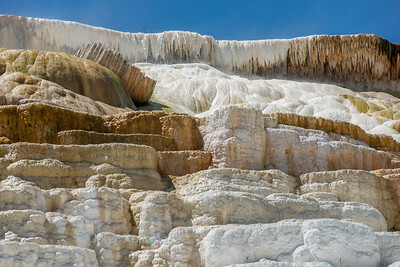 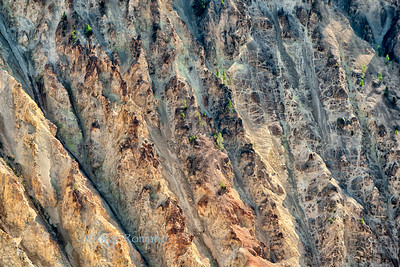 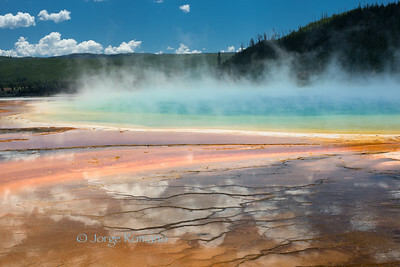 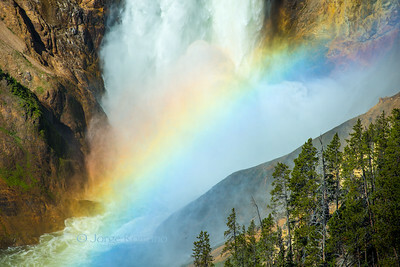 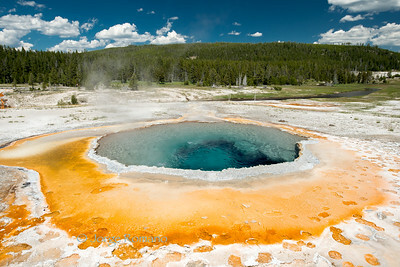 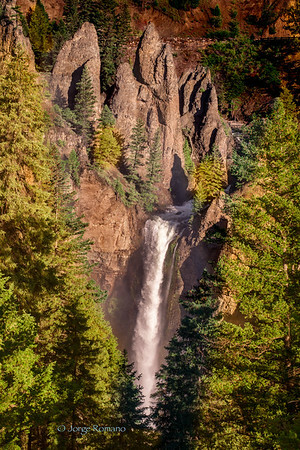 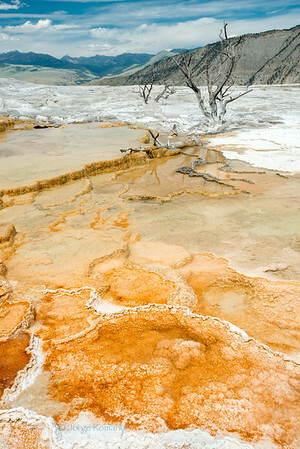 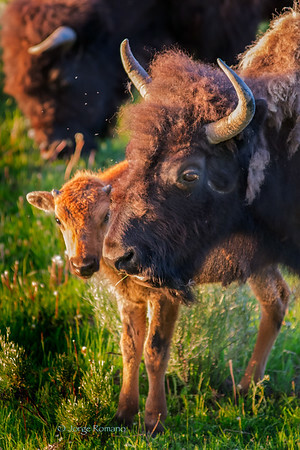 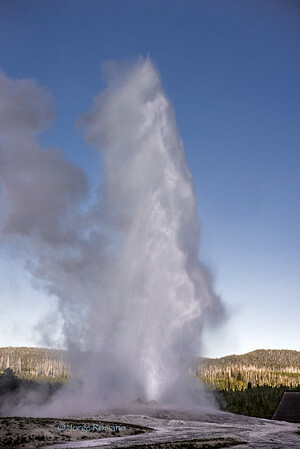 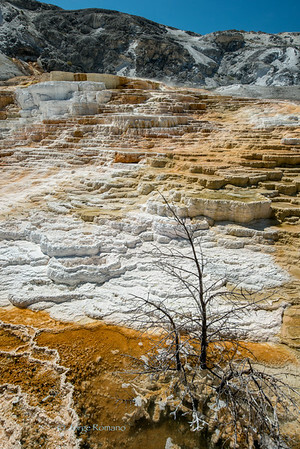 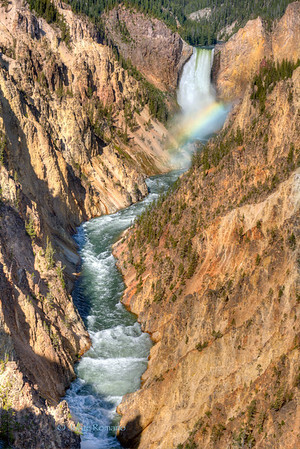 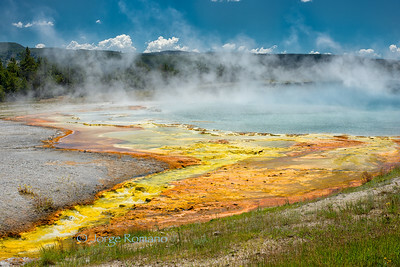 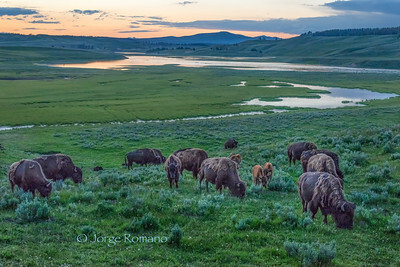 Images of Yellowstone National Park, showing, geothermal springs, travertine terraces, landscape and wildlife including bears, bison, elk and deer. 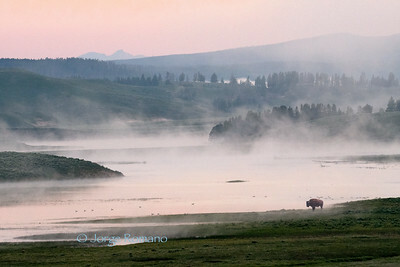 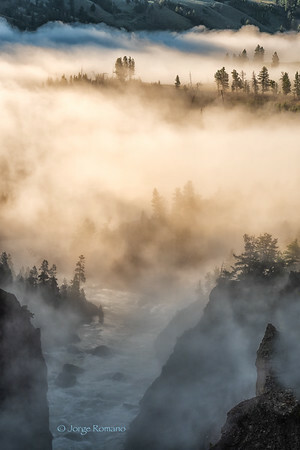 View of a foggy evening scene in Yellowstone. 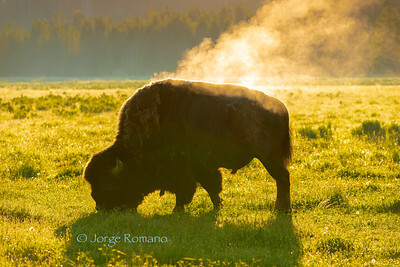 Brown bear in the forest. 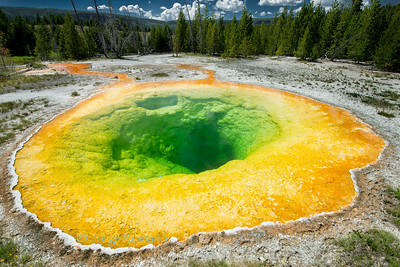 The Morning Glory pool is probably the most beautirul and famous of all the hydrothermal pools. 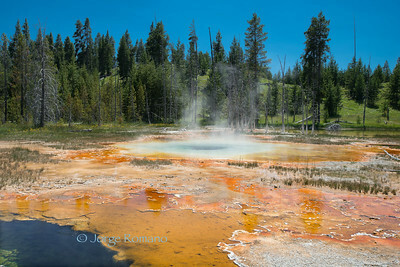 Orange Spring near Old Faithful. 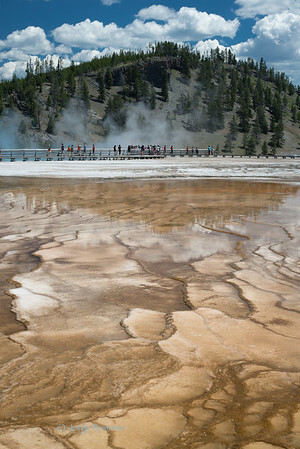 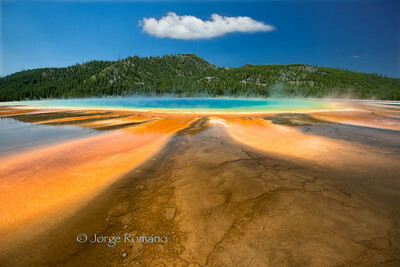 Panorama of Grand Prismatic Spring in Yellowstone middle geyser basin.